Bring your glow in tow with the Cover FX Glam & Glow on the Go; an exclusive duo that combines the vegan cosmetics brand’s multipurpose shimmer liquid with their cult-favourite customisable glow drops. Radiate in iridescence and illuminating lustre, wherever you go. A multidimensional, shimmering crème colour that enhances features with mesmerising lustre. Arriving in a glistening iridescent shade, the weightless, crease-proof liquid paints onto skin effortlessly and highlights your features for a double take-worthy result. A range of ultra-concentrated illuminating and bronzing drops that allow you to customise your ideal glow with a liquefied metal or sun-kissed finish. Formulated with a high concentration of ultra-refined pearls, the liquid drops boost luminosity and highlight the high points of your facial contour for a youthful, glass-like, dewy look that screams with radiance. 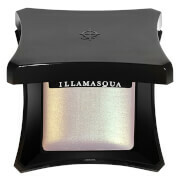 Shimmer Veil: Swipe with the length of the applicator for high impact colour on the eyes, lips, and cheeks. Use the pointed tip of the applicator for a more precise placement. CED: Shake well before use. 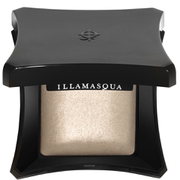 For an intense strobing or bronzing effect, use alone and apply with your fingertips or favourite beauty tool. For an all-over glow, add them to your favourite liquid foundation or skincare product. The more drops you use, the more luminosity or bronze you’ll get. Shimmer Veil: Aqua (Water), Mica,Calcium Sodium Borosilicate, Synthetic Fluorphlogopite, Isopentyldiol, Propanediol, Hydroxypropyl Methylcellulose, Glass Beads, Hydroxyacetophenone, Sodium Polyacrylate Starch, Triethoxycaprylylsilane, 1,2-Hexanediol, Caprylyl Glycol, Pectin, Xanthan Gum, Tin Oxide, May Contain/Peut Contenir: Ci 77491 (Iron Oxides), Ci 77891 (Titanium Dioxide), Ci 77510 (Ferric Ferrocyanide). CED: Hydrogenated Polyisobutene, Mica, Hydrogenated Styrene/Isoprene Copolymer, Triethoxycaprylylsilane, 1,2-Hexanediol, Caprylyl Glycol. May Contain/Peut Contenir: Titanium Dioxide (CI 77891), Iron Oxides (CI 77491).